O.S. Hawkins, president of GuideStone Financial Resources. PHOENIX (BP) – GuideStone Financial Resources’ theme for 2017 is the “Year of Innovation,” President O.S. Hawkins said in the opening report to messengers at the Southern Baptist Convention, June 13–14 in Phoenix. The annual theme guides the entity’s work, Hawkins said, noting a difference between imitation and innovation. At GuideStone, he said, the focus in 2017 is on innovation for the benefit of participants. 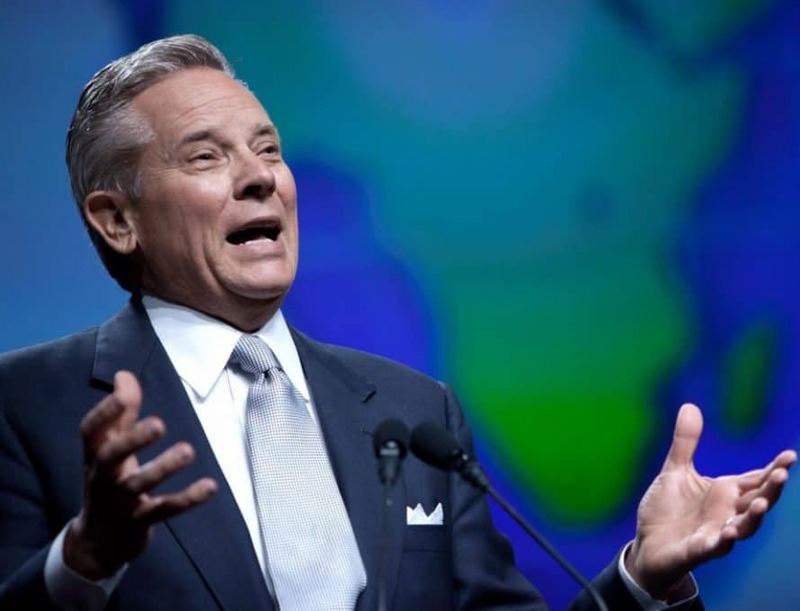 Hawkins reported to messengers about GuideStone’s litigation over the Obama-era contraceptive mandate, which would have required ministries like some Christian schools and missions organizations served by GuideStone to provide abortion-causing drugs and devices or face crippling fines. In 2016, the Supreme Court ruled in a case that also included the Little Sisters of the Poor, a Catholic group, that the government must seek out a solution that does not violate the plaintiffs’ religious liberty concerns. Hawkins expressed appreciation for the Trump administration’s desire, through its executive order, to protect religious liberty. Churches and closely integrated auxiliaries of churches were exempt from the mandate. Hawkins told messengers about GuideStone’s ongoing efforts to control health care costs, including providing group health coverage to churches and ministries with as few as two employees. In property & casualty insurance, Hawkins reported that GuideStone’s coverage provided through Brotherhood Mutual Insurance Company has a renewal rate of 98 percent of church and ministry accounts annually. GuideStone was founded in 1918 to provide retirement assistance to retired pastors and their widows, which continues through Mission:Dignity’s financial assistance to retired Southern Baptist pastors and their widows in their declining years. In preparation for GuideStone’s centennial in 2018, the Mission:Dignity ministry unveiled its 100 Reasons campaign, encouraging churches and individuals to join in sharing in the ministry.